The U.S. Virgin Islands celebrate both stateside and local history through the St. John Festival (a.k.a. Carnival). The unique Caribbean destination is also a United States territory, and revels in the best of both worlds. The St. John Festival starts in June and continues through the first week of July, with the festival parade taking place the day after local holiday Emancipation Day and on the Fourth of July, the biggest summer holiday on the U.S. calendar. This combines both traditions and gives multiple reasons to celebrate freedom. 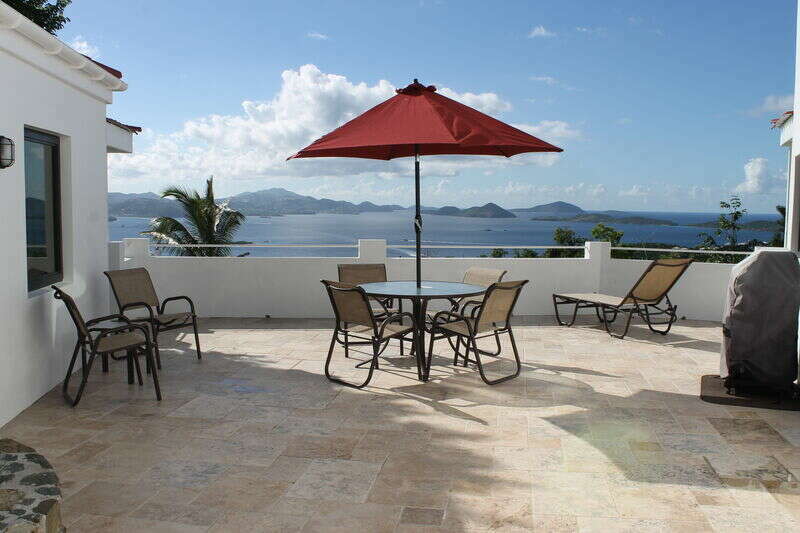 Cruz Bay is the center of activity on St. John, and CimmaronStJohn will provide wonderful vacation homes for lodging while you are experiencing what the festival has to offer. Here are just a few things you will experience at a St. John Festival! The music at a St. John Festival is one of the main focuses, from the sounds of the grand parade to bands that play nightly at the Festival Village and at different related events throughout the celebration. There will be steel panning up and down the streets in celebration of freedom as well as other great local acts. Expect brass bands, jam bands, spectrum bands, steel drum bands, and more. There is even a Hot Carnival Hits playlist set up on iTunes so you can get in the party mood. And what goes along with music better than dancing? There is some absolutely fabulous dancing by everyone at the St. John Festival – even the moko jumbies! A true St. John Festival wouldn’t be complete without the traditional Princess and Queen Pageants that take place. Expect beautiful girls and women in stunning outfits, but more importantly join in their celebration of personal achievement that is possible from Emancipation Day and the Fourth of July! One of the competitive events you will see at the St. John Festival is a boat race. With skilled sailors and plenty of water access, St. John is an ideal place for sailing the high seas. Watch the boats launch from the shore and slide across crystal clear waters toward a final destination of victory. If the music is the main act at the St. John Festival, the food is a close runner-up. A variety of cuisine awaits in celebration, and there is plenty of it! Every festival kicks off with a food fair, and the food keeps coming throughout the whole five-week event and is showcased in the Festival Village. Local crafts will be for sale next to food and drink booths, and you can expect spicy seafood, saltfish, West Indies pates, and stewed meat. Once happy hour hits, you can also expect a lot of rum! The St. John Festival comes to a close on the Fourth of July when the streets turn into one giant carnival full of festivity – beginning with the j’ouvert street party at 6 a.m. and followed be the Festival Parade at 11 a.m., including upbeat music, fantastic floats, bright colored costumes, and joyous dancing! Shortly after dark, fireworks light up the sky over Cruz Bay Harbor to announce the end of another festival celebration. Whether you wish to be within walking distance of the action or just venture into Cruz Bay for the highlights and then retreat to your quiet beachfront or hillside vacation home, CimmaronStJohn’s got you covered offering a variety of wonderful vacation villas and condos with spectacular views throughout the island! Read about more attractions in St. John you can participate in during your stay. We can’t wait to celebrate the St. John Festival with you here in the beautiful Virgin Islands!